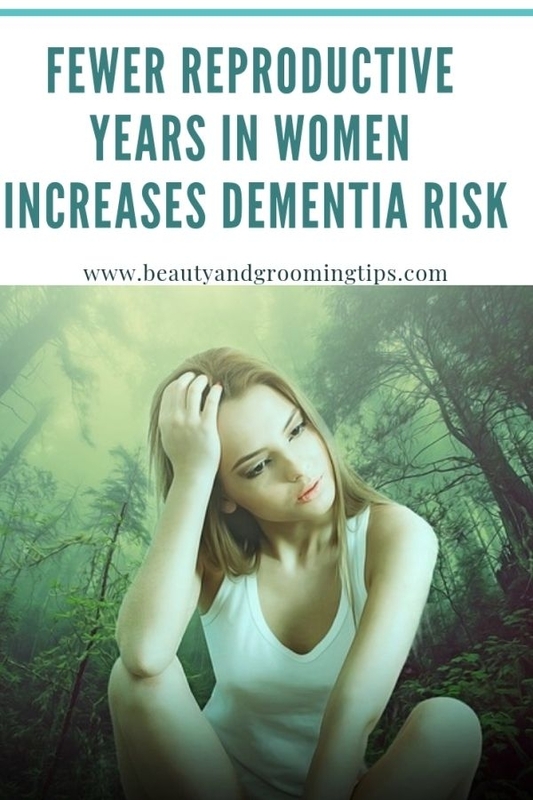 When I read about a study that says "Fewer reproductive years in women linked to an increased risk of dementia", I was intrigued. Earlier, I had mentioned about a study which links being underweight to hitting menopause early. Early menopause is linked with a higher risk of osteoporosis, cardiovascular disease, Parkinson's disease and dementia. So, it's not just early menopause that is a precursor to the risk of dementia; the lesser the number of reproductive years in an woman, the more significant the risk of dementia, according to the study conducted by American Academy of Neurology. Women who start their period later, go through menopause earlier or have a hysterectomy may have a greater risk of developing dementia. The study found a link between increased risk of dementia and fewer total reproductive years when women are exposed to higher levels of estrogen hormones. Since women are 50 percent more likely to develop dementia over their lifetimes than men, it's important to study any risk factors that are specific to women that could eventually lead us to potential points of intervention. Researchers found that women who had their first menstrual cycle at age 16 or older had a 23 percent greater risk of dementia than women who had their first menstrual cycle at age 13. They also found that women who went through natural menopause before age 47 had a 19 percent greater risk of dementia than women who went through menopause at age 47 or older. When looking at total reproductive years, from the age of first period to the age of menopause, women who had fewer than 34 years had a 20 percent greater risk of dementia than women who had 34 or more reproductive years. The researchers further add: "Estrogen levels can go up and down throughout a woman's lifetime. Our results show that less exposure to estrogen over the course of a lifetime is linked to an increased risk of dementia. However more research is required as all factors were not considered during the study. 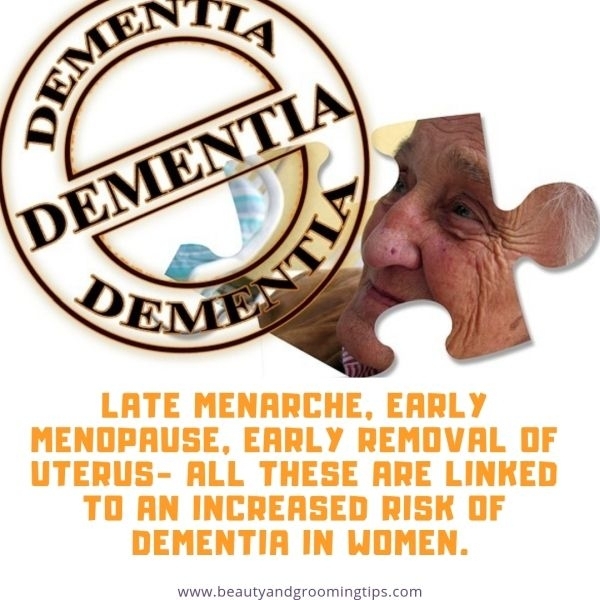 Looks like the number of years you have periods has a bearing on your risks of getting dementia in your later years. While it's not always possible to control your age of menarche, the number of reproductive years you'll have nor the age of menopause, it's better to be aware of the risks associated with it. So what do you think of this study? Did any of you have a late menarche or had to get your uterus removed early or went through early menopause naturally? Did you discuss the risks with your doctor? Do share in the comments.